Although we are in a rural location it is very easy to find us, just follow the B9170 between Inverurie and Oldmeldrum. 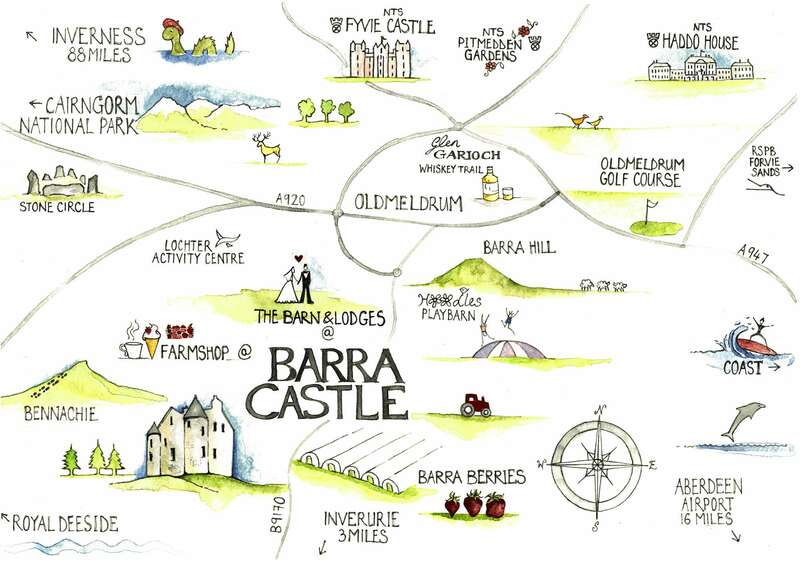 We love visitors but if you would like to discuss hosting an event or wedding at The Barn @ Barra Castle it is best to arrange an appointment in advance with Sarah. Please click here to find us on Google Maps.